Ravi is a senior executive in a large corporate. His mother is suffering from high BP and is on medication for the same. However, after taking the medicine she occasionally complained of dizziness. One day, a senior official from 1mg, Vikas, visited Ravi’s office. Ravi discussed the dizziness her mother felt after having her blood pressure medicine. Vikas searched for the salts of the medicine on 1 mg portal, where he came upon an expert advice suggesting to avoid potassium-rich food along with the medicine. Ravi recalled that his mother always ate a banana after taking the medicine, which is a rich source of potassium. He immediately asked his mother to stop eating a banana along with the medicine, which eventually led to a markedly decrease in her dizziness. The food we eat plays an important role in the way the drugs we take affect our body. 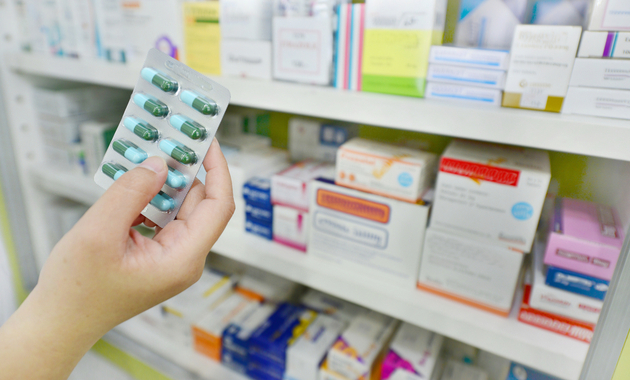 A food-drug interaction can prevent a drug from working the way it should or can cause side effects. Which is why a lot of time our doctors give us specific instructions to have our medicines empty stomach or full stomach. Or they ask us to avoid certain foods while we are on medication. But how does food really affect the drugs we take? Let’s find out. Some medicines are affected by whether or not you are empty or full stomach. It can alter their absorption.For eg: thyroid medication is always to be taken empty stomach to ensure complete absorption. On the other hand, some drugs can cause your stomach to get upset if taken empty stomach. Always ask your doctor if you can take a medicine empty stomach or not. What does an ‘empty stomach’ mean exactly? Empty stomach means when your stomach is not in the process of digesting food. When asked to take a pill empty stomach, you should take your pill 2 hours before or 2 hours after eating. For example: if you eat your lunch at 1:00 PM take the pill at 11:00 AM and eat at 1:00 PM. Or have your lunch at 1:00 PM and take the pill at 3:00 PM. In both the cases, your stomach will be empty enough to absorb the drug. Buy best selling medicines now at unbelievable prices! Painkillers on an empty stomach: Is it harmful? Painkillers are divided into various categories and all of them have a different mechanism of action. Analgesics like paracetamol can be taken empty stomach to get a faster reaction, however, non-steroidal anti-inflammatory drugs like ibuprofen should always be taken after eating something since they can cause your stomach to be upset. While the absorption of drugs is affected by whether or not we have eaten anything, it is also affected by what we eat. For eg taking milk with antibiotics makes it difficult for our body to absorb the antibiotic. Similarly taking food rich in vitamin K like green leafy vegetables with blood thinners, makes the drugs ineffective since blood thinners work by suppressing the activity of vitamin K.
Yes, alcohol affects the way your medication works. Any alcohol took while, before or after swallowing the pill, will affect the medication. It can alter its activity and also cause side effects. Always tell your doctor about your alcohol consumption. The complex interaction between food and drugs makes it difficult to determine the actual effect they have on your body. Always consult your doctor for the right method to take your medicine or any dietary modification to be made. You can also check the food that can interact with your medicine at 1mg. We at 1 mg believe in taking small steps and making an impact in people’s life. Which Foods Help To Control Blood Pressure? ← Do You Know You Can Prevent Cancer With These Vaccines?